The ValuSpace Troy facility located at 850 Hoosick Road in Brunswick, NY. On September 20th, The Rosenblum Companies celebrated the grand opening ValuSpace Troy, the Capital Region’s second ValuSpace® Personal Storage facility, located at 850 Hoosick Road in Brunswick. The ultra-modern, multistory, 66,000-square-foot self-storage facility is located next to Tractor Supply Co. on Route 7, approximately a half-mile west of the Walmart Supercenter. 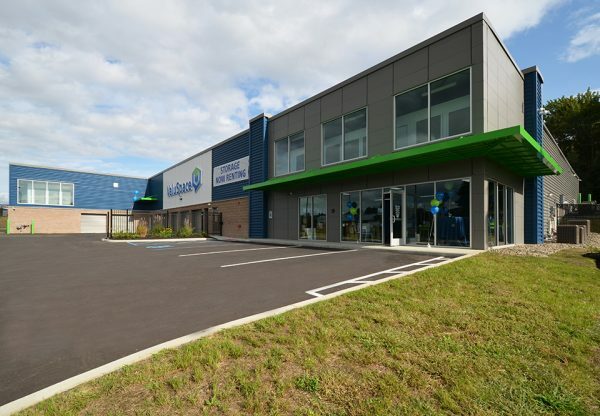 ValuSpace Troy complements the hundreds of new and pending housing units in the Town of Brunswick, Troy and Lansingburgh that are in close proximity to the new facility. These projects include Rosenblum’s own “The News,” a recent $24 million conversion of the former Troy Record property in downtown Troy into 101 studio, one- and two-bedroom apartments along with ground floor commercial space. The facility also creates virtually no traffic impact or parking demand and will generate significant additional property tax revenues for the Town of Brunswick. ValuSpace® Troy offers 499 temperature-controlled and drive-up storage units over two floors that range in size from 25 square feet to 300 square feet to meet the varied needs of homeowners, renters and small businesses. Quality packing materials for sale, along with free coffee and bottled water for customers. The Rosenblum Companies purchased the property in August 2017. Renovations to the site included the removal of a 1 1/2 story pole barn used to service commercial diesel engines. “I am pleased to welcome ValuSpace as the newest member of the business community here in Rensselaer County. This is the kind of project that will support the growth and prosperity here in the county, and enable our major employers to more easily bring and keep more workers in the area. 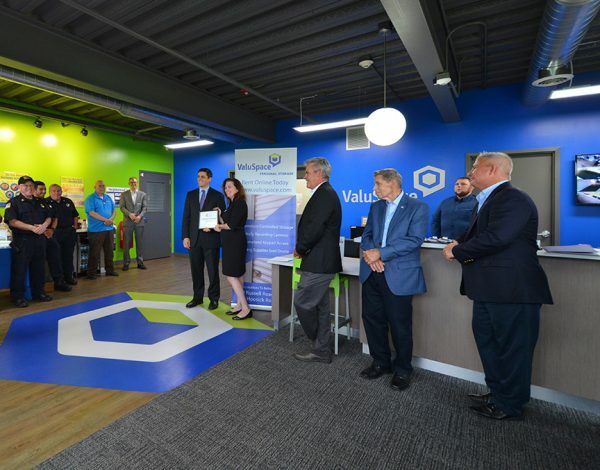 Furthermore, ValuSpace turns an obsolete building on Route 7 into a modern, attractive facility that is a great addition to the community,” said Rensselaer County Executive Steve McLaughlin. Rensselaer County Chamber of Commerce representative, Maureen McGuinness and Rosenblum CEO, Seth Rosenblum at the Grand Opening Ceremony in the main office at ValuSpace Troy. 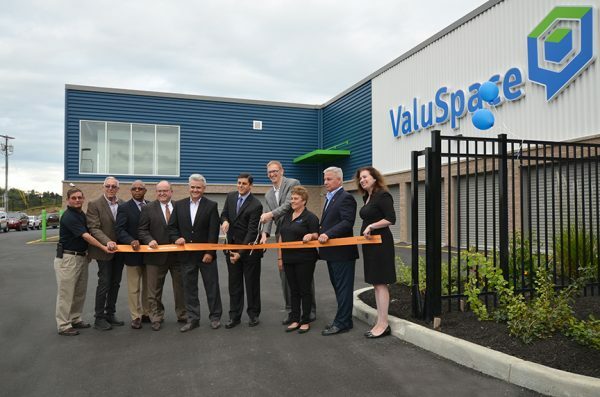 Storage Asset Management, Inc. (SAM), a full-service self-storage property management and consulting company, oversees daily operations at ValuSpace Troy as well as ValuSpace Albany, which opened in September, 2017. SAM manages over 120 facilities that encompass over 7 million square feet. ValuSpace Troy manager Kimberly Adami has 20 years of retail experience. Renters can access their storage units seven days a week from 6 a.m. to 10 p.m.